Sunday mornings are one of my favorite times of the week. Our lives have been so busy lately, so my usual routine has been thrown off - but this week, hallelujah!, things have slowed down a little bit. Today, I was able to wake up and have some of the quiet time I have been craving. Typically, on a Sunday morning, I will let me "boys" (aka, my husband and our dog Hank) sleep in. Most Sundays, I will make us breakfast (bacon, eggs, toast). We like to make our bacon in the oven, so while my coffee is brewing, I will get the bacon going, then sit down with my coffee in front of my computer and try to figure out our meal plan/grocery list for the week. I am constantly struggling, especially lately, to figure out what to make for dinner during the week. I have to guess that some of you who are reading this are also wracking your brain on Sunday mornings, over your cup (or two, if you're like me) of coffee, coming up with quick and relatively healthy dinner ideas. I'm going to head off to the grocery store soon to pick up the pork so I can get this in the slow cooker for tonight! So yummy and so easy. We have our dog trainers coming over on Tuesday night, so we will have to eat quickly - either leftover pulled pork or turkey burger skillet will be on the menu for Tuesday night. I am hoping to go play tennis on Wednesday night, so again, dinner will have to be fast. I love to use Flat Out wraps for quesadillas - just put down some leftover pulled pork, a little salsa and cheese, fold in half and grill on a skillet. So simple! 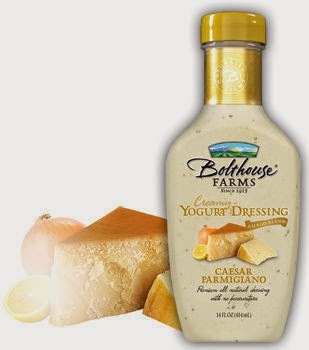 Justin loves Caesar Salads - I will get a couple of pre-marinaded chicken breasts to grill up, then toss with romaine, croutons, shredded Parmesan cheese, and my favorite Bolthouse Farms yogurt Caesar dressing. Friday night we will stay in and take advantage of Justin's new grill. I will make up the patties (see the link for the method to my madness! ), and he takes care of the rest! So there you have it! Our meal plan for the week - and what I will be using as my grocery guide. Now it's off to the store to get the goods. I made cool food as it is 90 degrees. Tuna with hard boiled eggs, egg salad with curry and plain salad. I guess hot dogs for main.